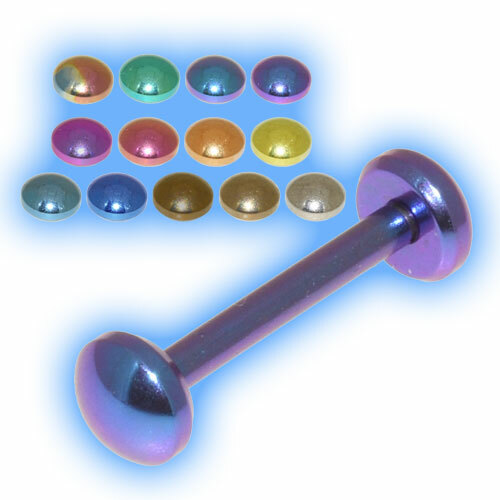 One question that we get asked a lot is "Is it possible to get a tongue bar without balls?" some people find that the traditional tongue stud with either 5mm or 6mm balls on the bottom and top can be quite uncomfortable in the mouth and can sometimes leave an indent where the ball rests on the tongue. People often want a change to a tongue stud that is a little more discreet but don't necessarily want to hide the tongue piercing completely with a retainer or hider! We have come up with a solution! These Implant Grade 23 Titanium (6AL4V-ELi) barbells are just the job. The bars are available in 8mm through to 22mm lengths (in 2mm increments) although we can also make longer ones if required and they are externally threaded (which means that the thread is on the bar and the discs have a hole which the bar screws into). 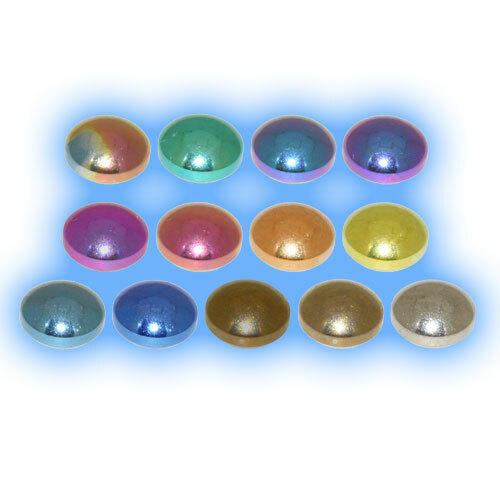 The domed discs are completely flat on the side that the bar screws into that comes into contact with your tongue either side and the side that can be seen has a slight dome so that the tongue jewellery catches the light and sparkles in a subtle way rather than being too "In your face!" so you really can get a tongue bar in a colour to match (or clash) with any outfit! The peach or pink titanium bars can also be used to camoflauge the piercing so that it is not quite as noticable if you need to hide your tongue piercing or perhaps tone it down slightly for work, school, college, a job interview or even a social function. so you can swap and change the colours with your existing 1.6mm (14 gauge) barbells, surface bars or labret studs. We also offer them on our full range of Build your Own Body Jewellery where you can create your own custom designed jewelry so you could have the domed discs on a labret instead or have a domed disc one end and something completely different on the other end - you can really let your imagination run riot!